Market has been overrun lately with small foldable selfie drones. JJRC decided to join the party with H43WH. JJRC is a China based company that’s been creating remote control gadgets since 2009. 8 years doesn’t sound like much, but keep in mind that drones didn’t become mainstream until right about that time, late 2000s. With that in mind you could say that JJRC are veterans with lots of experience. They produce good quality drones and JJRC H43WH is no exception. 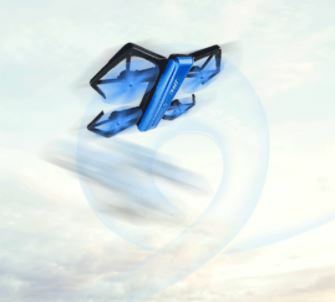 This is a small drone whose blades fold upwards, making the drone even smaller. It has decent enough camera, but it doesn’t have a dedicated transmitter controller. Are we entering an age where drones are starting to lose their controllers? Let’s find out in our JJRC H43WH Review ! So if the drone doesn’t have a transmitter how do you control it then? Well you have to use the JJRC App which is available for iOS and Android devices. Many drones are offering smartphone control, but they also have a physical controller to go alongside with it. 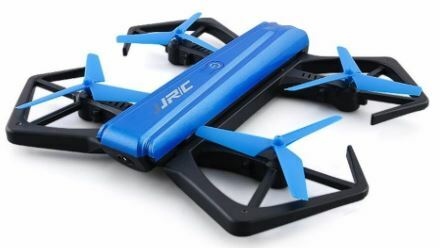 JJRC H43WH is the first drone that I encountered which uses the smartphone app exclusively. I have to say that I was sceptical at first, but controlling the drone with the app worked really well. Plus the cost that JJRC saved in not manufacturing the controller was passed on to us, because the drone can be bought for as little as $45. H43WH has a unique design and is only available in the color blue. Hence the reason why it was nicknamed “the blue crab”. Main body is elongated, similar to a stapler. Blade arms kinda do look like crab legs. Build quality feels good. Due to its size and motor power, the drone isn’t very wind resistant. Even the slightest breeze will cause it to drift, but again, that’s normal for a drone of this size. Holy Stone HS150, which I reviewed recently, had wind resistance for winds up to 10mph. 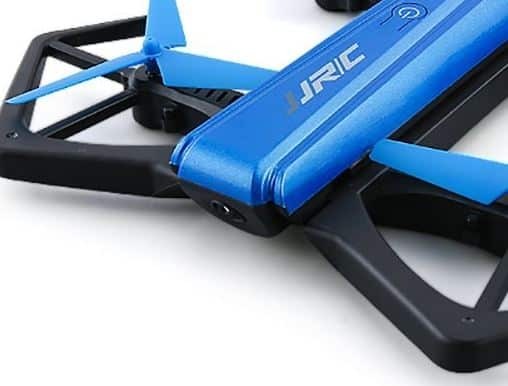 JJRC H43WH drone blade arms have very rigid blade guards underneath them. Most folding drones that I reviewed like Eachine E56 or Eachine E57 don’t have blade guards, so it was nice seeing JJRC including them on H43WH. Blades do fold, and they fold downwards. A button needs to be pressed which unlocks the folding mechanism. Even though H43WH shaves about 2 inches when folded, I don’t think it can be put in a pocket like Eachine E56 or Eachine E57. 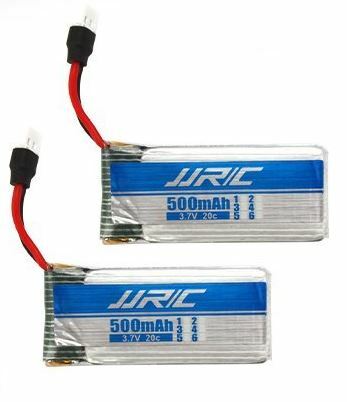 What makes jjrc H43WH interesting? H43WH sports a 720p camera and I have to say that it is one of the best cameras I’ve seen on these affordable mini selfie drones. Video wasn’t grainy or wobbly, which is a problem that plagues these budget drones. Colors are a bit washed out, but for $50 you can’t really ask for top of the line video quality. Photos look even better than videos. Note that both video and photos are recorded on the smartphone, drone doesn’t have an insert for a microSD card. I’m not a fan of selfies, but I think that even the most demanding selfie enthusiasts out there are going to be satisfied with the quality of the camera. Here’s a video sample of H43WH in action. Press play down below and you should start seeing a video recording of a flight session using this little drone. Notice that the video doesn’t have any kind of lag. Lag in the connection between the drone and the smartphone causes lost frames. In extreme cases lagging can even cause the video to cut out for several seconds before resuming again. Colors could be better, but as far as video sharpness and overall quality, I really can’t complain. 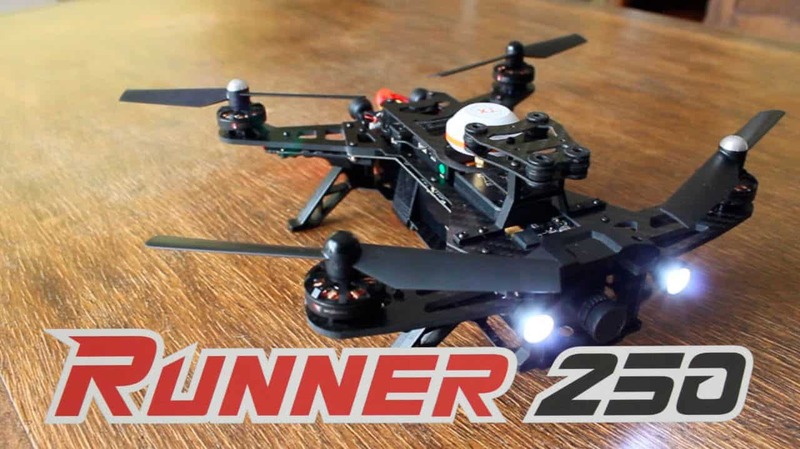 Camera on JJRC H43WH is miles ahead of some of the other drones in this price segment. 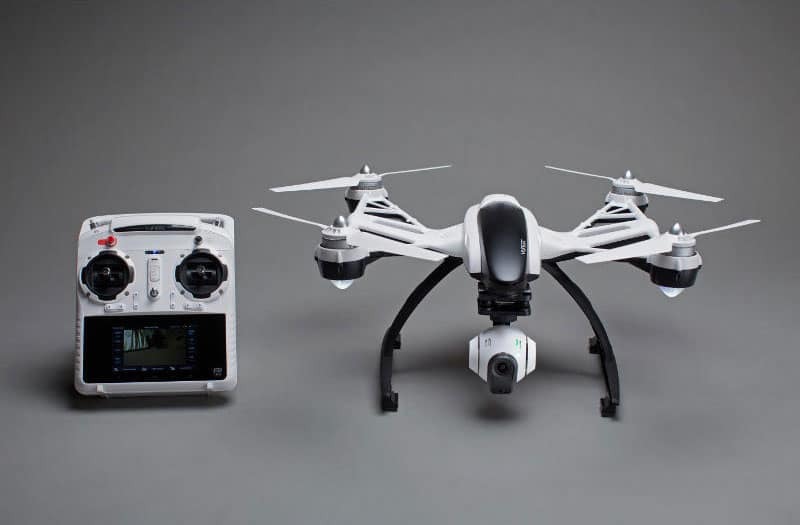 Even some more expensive drones don’t have a video camera as good as the one found on H43WH. 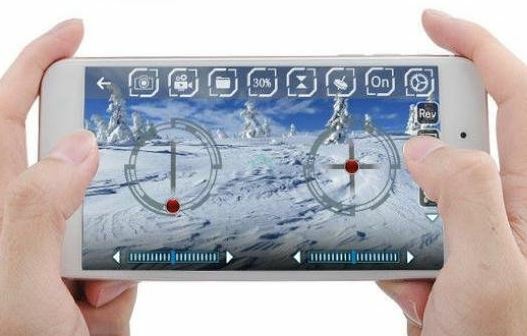 Video and photos are saved to the smartphone, or tablet, that you use for FPV. Drone doesn’t have a dedicated microSD slot for saving video and photos on the device itself. Keep in mind that if you don’t press “Stop” inside the smartphone app, during video recording, you run the risk of not having the video saved. Similar to have shutting down PC during file save will cause the file to become corrupted. All in all, this drone has excellent FPV experiance. JJRC decided to use a smartphone app as a transmiter in H43WH. Dedicated physical controller isn’t included in the package. You will need a smartphone or a tablet for installing the “JJRC App”. If you don’t have a “smart” device buy a drone with a dedicated controller. I didn’t feel like using the app robbed me of functionality. True, you don’t have the kind of feedback that you would have by pushing physical joystick for adjusting yaw, pitch, roll, etc, but it didn’t take too long for me to get used to how the virtual joystick reacts to commands. I do have some experience flying drones with apps from before, but I don’t think that even someone who hasn’t done it before will have problems figuring out how to fly the drone using the app. Battery is replaceable and it doesn’t use any kind of proprietary system for plugging it into the drone, like Eachine drones do. It’s just the standard two prong connector. That is actually a good thing. If you happen to have a bunch of batteries from previous drone purchases, you can use those batteries flying H43WH as well. Only 1 battery comes with the drone by default, but there are sellers on Amazon which are offering H43WH bundled with a 2 and even 3 battery pack. The 3.7V 500mAh battery offers up to 7 minutes of flight time and charges in about hour and half using the included USB charger. H43WH comes with a surprisingly long list of additional features that will provide hours of fun. Let’s start with the most important feature, flips and tricks. Yes, drone does support one key tricks (left/right flips) and it does them very well. Camera apparently offers an automatic beauty mode, but we’re going to have to take JJRCs’ word for it since I can’t turn it off to do a before/after. Moving on there’s the altitude hold. It too works well. Drone doesn’t lose altitude not even after doing tricks. 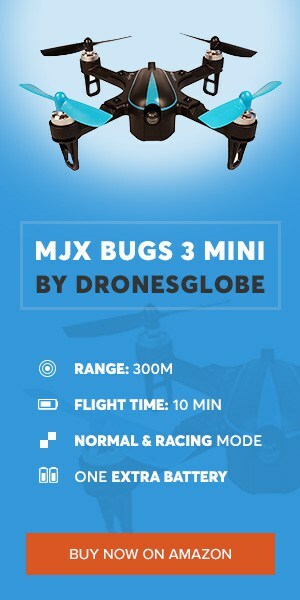 Next theres the headless mode, which is perfect for beginner drone pilots. By turning on headless mode, there’s no need to orient the drone “head” in the direction you want to go by rotating the drone around. We talked more about headless mode and how it works here. 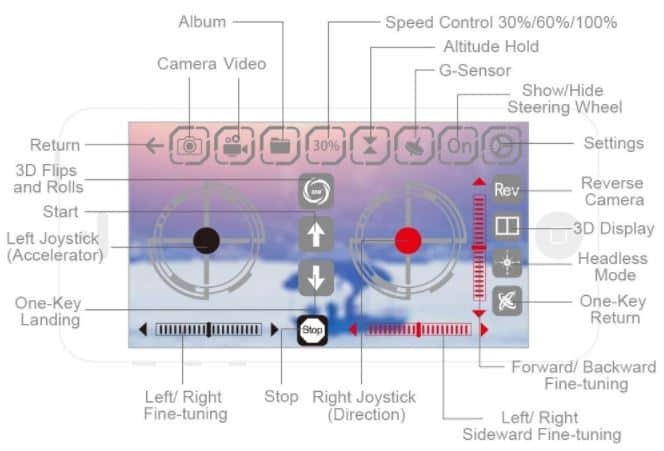 Lastly, there is also g-sensor control. 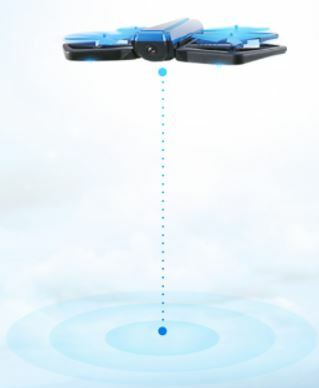 That work mode uses smartphone g-sensor to control the drone. Tilting the phone left/right changes roll, forward/backward changes drone pitch. To get the drone up in the air first step that the would be pilot needs to take is go into the App Store or Play Store and install the “JJRC App”. Next connect to the drones’ wifi network and run the app. Video feed from the camera should load immediately. Turning on altitude hold from the button row above will reveal additional buttons in the middle of the screen for starting the motors. Tap up arrow and use the left joystick to get the drone airborne. From then on out use the left joystick as the throttle/rudder and the right as the elevator/aileron. App control has everything you’d need for controlling the drone. Notice at the bottom that there are even sliders for adjusting trim. Virtual joysticks sit in the center of the screen. Top of the screen holds buttons for activating different work modes. They are all pretty much self explanatory. The most interesting though would be the g-sensor control. By pressing that button you can use the phones gravity sensor in order to control the drone by tilting the phone. Drone was very responsive, and I have to say that I didn’t feel like I’m left out on the count of there not being a physical controller. Drone reacted to controls very nicely and flew very smoothly. Altitude hold worked great and other than the short range for the FPV and app control, I don’t have any kind of gripes with H43WH when it comes to flying the drone. I'm an absolute beginner and got the blue crab as a Christmas gift from my son. I have big problems to control the drone. When starting it I can not just lift it from the ground, the drone moves forward very fast instead. I use only the left "stick" and push it forward a little. The next is that the drone then moves fast right even if I don't touch the right "joystick". I tried to the up/down trim sliders as compensation but that helps only a little. Another question: I use the "up" button to start the drone. But is it right that the "down" button stops all the motors, as well as moving the left "joystick" in the "down" position? It would really be nic if you can help or tell me where I could ask instead.